Homecooked lunches are usually kept very simple and fast, often with whatever ingredients there are in the kitchen. 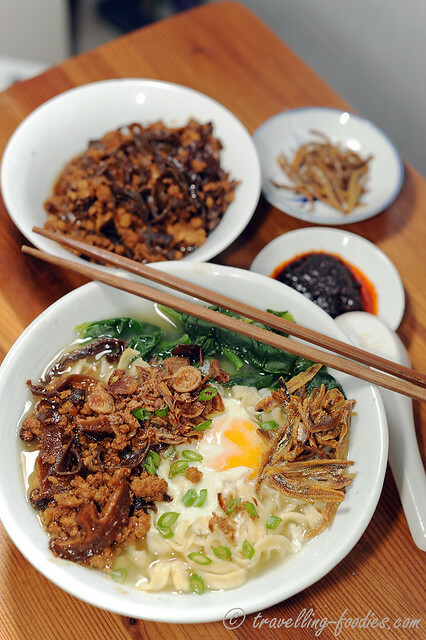 For today’s lunch, I’d basically prepared a simple Chinese fried noodles using the leftover ingredients I had from yesterday’s Peking Duck Pizza. It was super fast, all done within 20 min or so, minus the time I had to rush out to get another packet of noodles. Thank goodness I’d discovered that this during the mise en place and not when the ingredients are already in the wok. 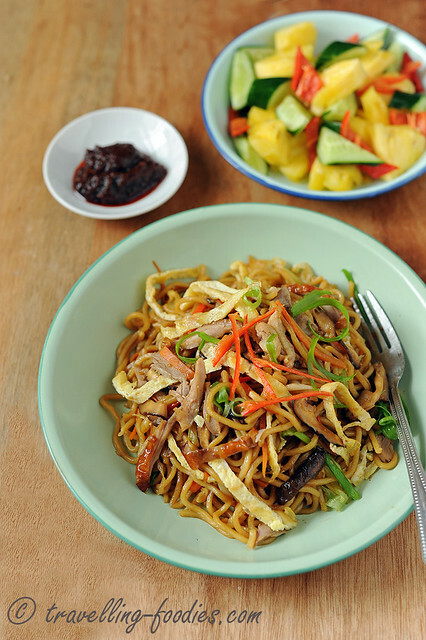 So here’s a super easy, super fast Chinese fried noodles. Always a lifesaver for a quick meal. We used to have an eathern stove at home when I was young, fueled by charcoal that could be kept warm for hours, as the hardened chunks of ebony slowly wasted away to become a crumbly ivory, until all that’s left was a disintegrated heap of cinder and ash. But using it could be quite a hassle to use, especially to kickstart the burning. But me ain’t no boy scout, so it was usually my father who “did the honours” to get the fire started. Once started, it served for a myriad of purposes, i.e. toasting belachan (fermentted shrimp paste) to make sambal, maintaining a large pot of broth for steamboat refills, or simply transferring out the charcoal pieces from that stove into a longish rectangular metal trough which was used to prepare kueh belandah (nyonya egg rolls) for chinese new year . In fact, steamboats in the past where fueled by charcoal which were “preheated” using the earthern stove as well! 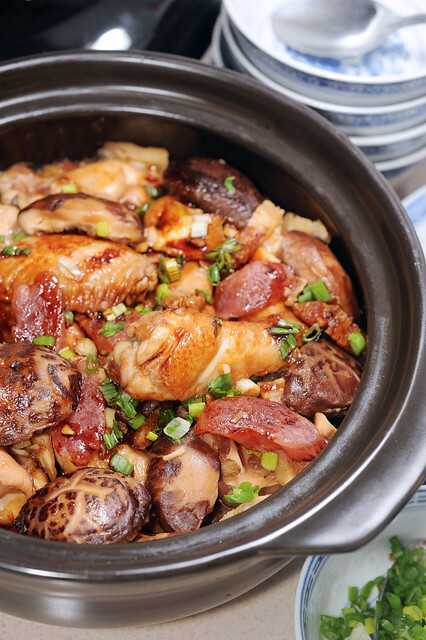 While some of the uses of an earthen stove were somewhat ritualistic, others remained very practical, and for me, the most practical and personal favorite “use” of the earthern stove has to be cooking 煲仔鸡饭 Cantonese Claypot Chicken Rice!